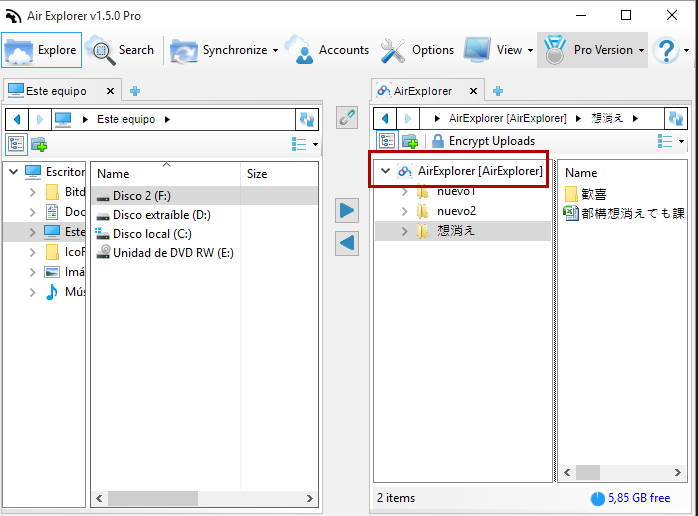 Air Explorer requires a folder named AirExplorer and located in “Application Data” (全部文件) to be created. 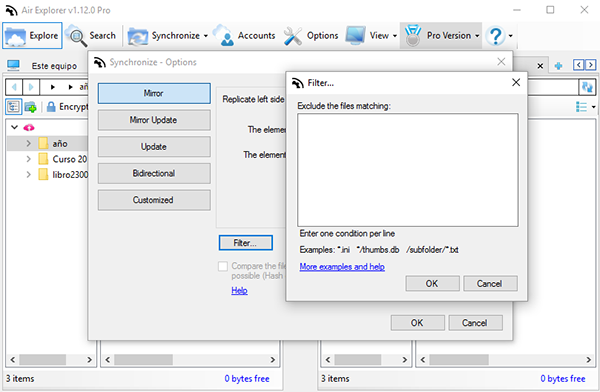 This folder is created automatically when the account is connected to Air Explorer. But if for some reason the folder is not created it is needed to be created by hand. If the folder does not exists, please create it. 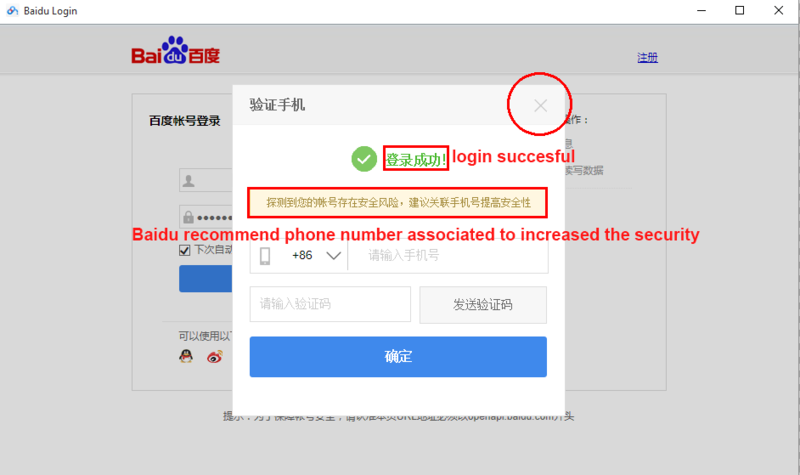 If it already exits delete it and try to register the account again in Air Explorer (delete the account in Air Explorer and add it again). Since you have another account that works you can view where the AirExplorer folder is created and create it in the same location in your other account. -Fixed, only up to 1000 items were shown in Baidu folders. -Improved stability and fixed bugs. -Increased the buffer size for playing videos with VLC. -Updated Greek translation (Thanks to basikos345). -Updated Ukrainian translation (Thanks to Валерій). You can work with Baidu in Air Explorer and use his 2TB of free storage. 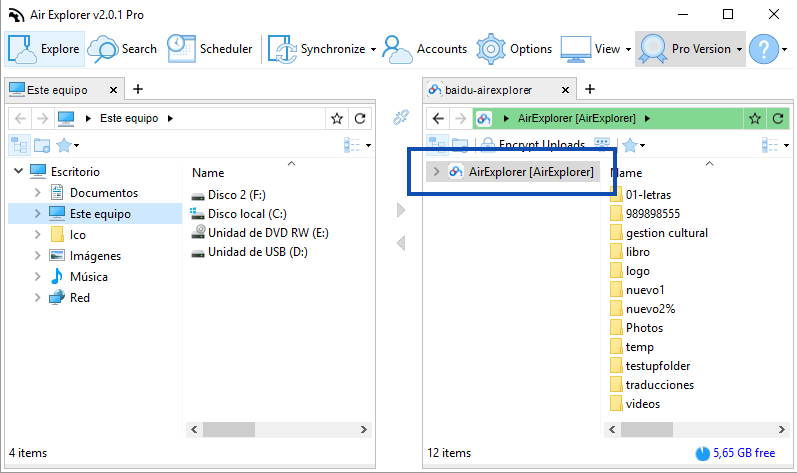 Bear in mind that Air Explorer create a folder named AirExplorer where you will find the uploaded files by Air Explorer. Air Explorer can not access the files outside that folder.